Oh my. Joanne Bischof never fails to move me deeply with her books. She writes what I like to call heart-deep books. Stories so full and rich that my heart is totally involved. We first fell in love with Aven and Thor in Sons of Blackbird Mountain and four years have passed and we find them here, married and wonderfully happy and blessedly awaiting the birth of their first child. Then Thor falls gravely ill and with this illness, a weight so heavy upon him, it comes nigh to crushing his spirit, such is the depth of this malady. In the midst of all this, Haakon returns home to the mountain after realizing he cannot be away any longer, the burden of needing to pursue his family's forgiveness for one act causing him increasing pain with each year that passes. Haakon finds his family in a tenuous situation, facing a decades long feud with neighbors who are evil personified threatening to destroy them all. Haakon has a cunning strength and he decides that this needs to end once and for all, even if the cost is indeed dire to him. But who will emerge the victor? And who will perish? Will this prodigal son find the restoration his heart craves? And Haakon is also finding himself drawn back to northern shores for another reason. If he can only survive this feud. 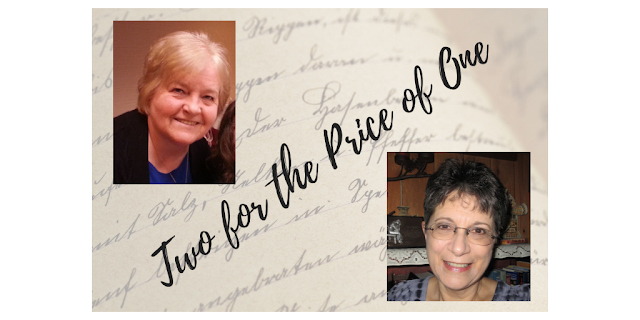 Bischof must of a certainty carefully and prayerfully craft these characters, bringing them so very much to life in the pages that they spill over into the reader's heart and linger long after the book is finished. I was so incredibly moved during the reading of this book that it was stunning! This is a powerful book of forgiveness, healing and restoration. Bischof shines! Highly recommended. *My thanks to the publisher for a preview copy of this book. A positive review was not required and the opinions expressed here are entirely my own. 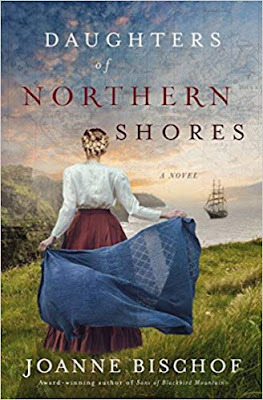 With the characteristic, delicious prose I’ve come to expect from Joanne Bischof, Daughters of Northern Shores picks up where Sons of Blackbird Mountain left off. While this book can be read as a standalone, it will be much more enjoyable if Sons of Blackbird Mountain is read first to get the backstory. It was so enjoyable to return to Blackbird Mountain and revisit the Norgaard family. Bischof is a master at creating broken, hurting, deeply layered characters, and Haakon fits this description well. After four years spent at sea, he returns home hoping to make amends with his family. When he finds them in peril, his protective instincts kick in. Although I was uncertain how the author was going to redeem Haakon from his youthful actions, she pulled it off magnificently, and I was cheering for him to get his happily ever after. I was hoping for a bit more focus on Haakon and Kjersti’s relationship, but that was the only small disappointment I had. All of the characters were so vividly painted that they came alive on the page, and I could feel the mounting tension as the tale progressed. This powerful and gripping story is filled with adventure, intrigue, suspense, and romance, but there are also uplifting messages of redemption, courage, importance of family, and the healing that only God can provide. I’m looking forward to more from this fantastic author. *I voluntarily reviewed a complimentary copy from the author/publisher. All opinions are my own. From Christy Award-winning author Joanne Bischof comes the sequel to her beautiful novel Sons of Blackbird Mountain. Aven Norgaard understands courage. Orphaned within an Irish workhouse, then widowed at just nineteen, she voyaged to America where she was wooed and wed by Thor Norgaard, a Deaf man in rural Appalachia. That the Lord saw her along the winding journey and that Aven now carries Thor's child are blessings beyond measure. Yet while Thor holds her heart, it is his younger brother and rival who haunts her memories. Haakon--whose selfish choices shattered her trust in him. Having fled the Norgaard orchard after trying to take Aven as his own, Haakon sails on the North Atlantic ice trade, where his soul is plagued with regrets that distance cannot heal. Not even the beautiful Norwegian woman he's pursued can ease the torment. When the winds bear him home after four years away, Haakon finds the family on the brink of tragedy. A decades-old feud with the neighboring farm has wrenched them into the fiercest confrontation on Blackbird Mountain since the Civil War. Haakon's cunning and strength hold the power to seal many fates, including Thor's--which is already imperiled due to a grave illness brought to him at the first prick of warfare. Now Haakon faces the hardest choice of his life. One that shapes a battlefield where pride must be broken enough to be restored, and where a prodigal son may finally know the healing peace of surrender and the boundless gift of forgiveness. And when it comes to the woman he left behind in Norway, he just might discover that while his heart belongs to a daughter of the north, she's been awaiting him on shores more distant than the land he's fighting for.